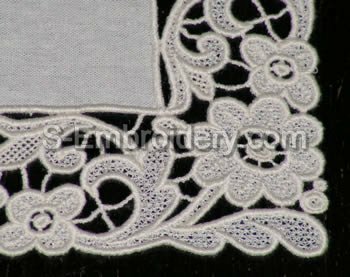 A set of 2 antique floral freestanding lace machine embroidery designs. 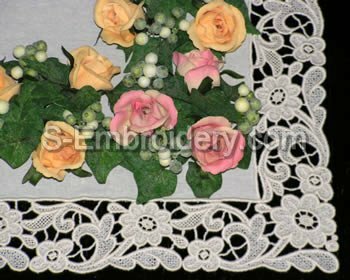 Using those 2 designs you can create a beautiful rectangular or square table runner, table topper or table cloth with a size of your choice. 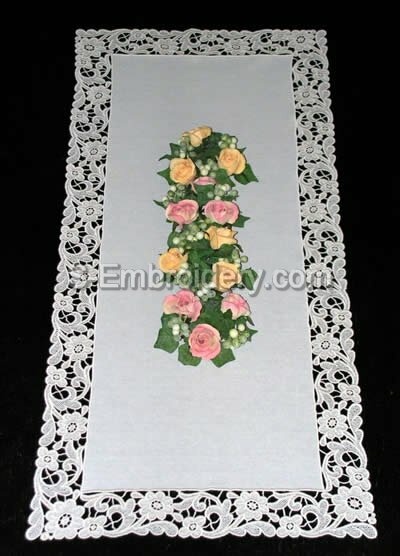 The table runner featured on our site measures:32.5 x 12 inches (83 x 38 cm). 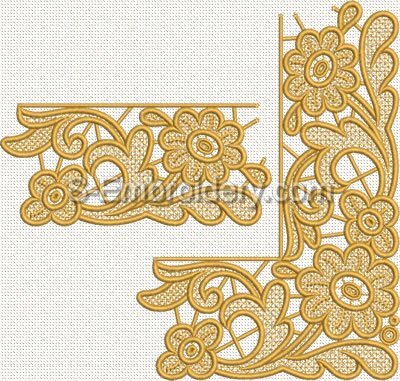 You receive information and instructions in PDF format and 2 machine embroidery files in one of the supported machine embroidery formats.